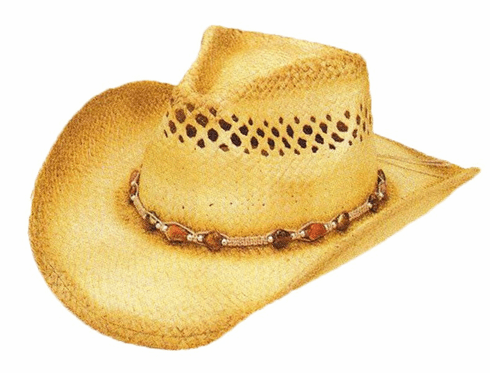 This toyo western hat with elastic sweatband and shapable brim screams rustic elegance. It has the shape and fit of your favorite hat with macrame beadwork to add a little flare. One size fits most adults.